With a new mandate and a new name, Active Aging in Manitoba is hoping to better reflect the needs of today's older adults. Formerly known as the Active Living Coalition for Older Adults in Manitoba, or ALCOA-MB for short, the organization has been promoting and creating opportunities for older adults in the province for nearly 20 years, but there was a problem - few people remembered its name. Along with the new name, the association will have a slightly different focus, according to Jim Evanchuk, Executive Director of the not-for-profit organization. In addition to highlighting physical health, it will be promoting all aspects of healthy aging, including social, economic, cultural, spiritual, and civic connectedness. Studies have shown that people who are socially active and connected to others live longer, happier lives. "Our new name is a moniker that better reflects what we do and how we view aging," says Evanchuk. 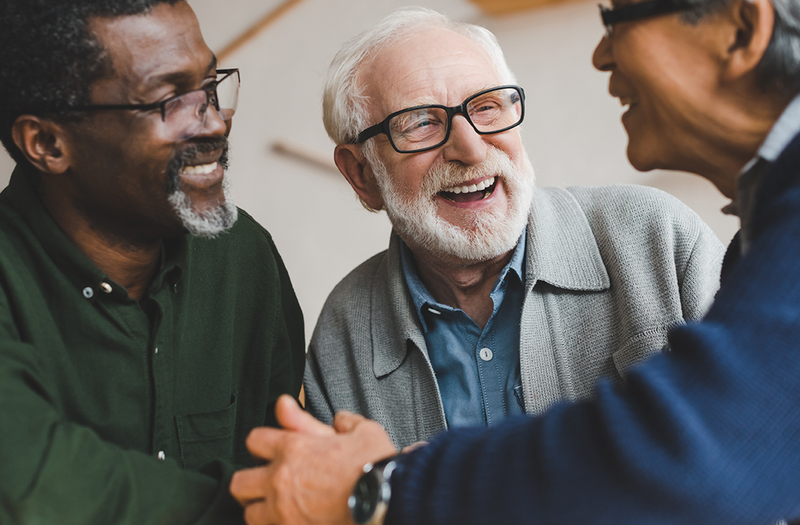 "We're focused on all the ways older adults can remain connected to their communities. It's not just about being physically active, but also maintaining social activity and social connections," he explains. "Older adults have a whole lot of life experience, skills, and abilities that can contribute to our society in meaningful ways. We're pushing back against the notion that people have a 'best before' date." One of Active Aging in Manitoba's main offerings is the Peer Leadership program. Its peer leaders are active older adults who are trained to make presentations, lead walking or exercise classes, or act as ambassadors to motivate their peers to become more active and healthier. Peer Leaders on average, engage their neighbours and friends in the active aging experience at least twice a week. They also encourage the older adult participants to strive for the recommended 150 minutes of moderate to vigorous exercise each week. "The program will continue to expand. We have over 150 active peer leaders in Winnipeg right now, and we're always looking for new partners," says Evanchuk. "We're hoping the general public will see the value of engaging older adults in a variety of ways." Peer leaders teach Steppin' Up with Confidence classes, a program initiated by the Winnipeg Regional Health Authority in 2003. The program has since developed into a partnership between the Region, Reh-Fit Centre, University of Manitoba, Manitoba Fitness Council, Manitoba Association on Gerontology and Active Aging in Manitoba. Originally part of a falls prevention program for older adults, Steppin' Up now consists of peer-led exercise and walking programs. Evanchuk says the programs support and encourage older adults to embrace an active lifestyle by offering self-sustaining, accessible, high-quality, no-cost exercise and walking programs within or near their apartment complex or home. "I'm hoping people will think of Active Aging in Manitoba as an advocate and promoter of healthy active aging. We'll keep on encouraging people to move more, sit less, and continue to be involved for life," he says. "But we'll also be emphasizing the importance of people remaining connected." The organization uses two catchy, easy-to-remember rhyming statements to keep its message top of mind, he adds. "'You can thrive and be fully alive beyond 55,' and 'The more you engage, the better you age.' It's about really valuing and respecting everyone, no matter what their age. We want to make sure no one is ruled out." Sept. 25: Active Aging Day at the Wellness Institute at Seven Oaks General Hospital. For information about activities, call 204-632-3947. Oct. 1: National Seniors and Elders Day. The public is welcome to attend the Active Aging in Manitoba Expo, a collaboration with Sport Manitoba, held at the Sport for Life Centre at 145 Pacific Avenue, from 9:30 a.m. until 2 p.m. While no longer the sole focus of the organization, staying active as one ages will remain a strong aspect of Active Aging in Manitoba's message. The association became the lead organizer of the Manitoba 55+ Games in 2012, and will continue in that role. Sixty per cent of older adults are still inactive, according to statistics gathered by the association and the World Health Organization. Sitting or lying down for long periods of time is a serious health risk, with inactivity as harmful to one's health as smoking. Inactivity leads to a decline in bone strength, muscle strength, heart and lung fitness, and flexibility. September 23 to 29 is Active Aging Week, with Active Aging Day held at the Wellness Institute on Tuesday, September 25. The association's new website will have launched by then, and a new Active Aging guide will be released that week. An electronic copy will be available on the Active Aging Manitoba website at activeagingmb.ca. For a hard copy, call 204-632-3947. "There will be plenty of things to see, do, and try out at the Wellness Institute, and healthy aging organizations will be there with information," says Evanchuk. "We can certainly steer people in the right direction, in terms of opportunities and activities." On October 1, which is National Seniors and Elders Day, the public is welcome to attend the Active Aging in Manitoba Expo, a collaboration with Sport Manitoba, held at the Sport for Life Centre at 145 Pacific Avenue, from 9:30 a.m. until 2 p.m.
"We're looking for ways to engage older adults meaningfully. People will have the opportunity to try out a number of different activities. There will be several 55+ games there to try, including bocce, pickleball, golf, and floor curling," Evanchuk says. "Everyone will have the chance to give it a try and test the waters, if you will. There's already a real buzz about people coming down to check things out." Along with the new name and new, improved mandate, Evanchuk is hoping more people of all ages will take advantage of what Active Aging in Manitoba has to offer. 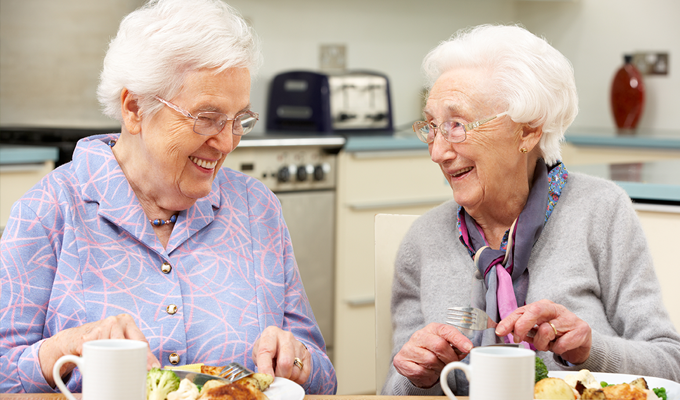 "Let's take a look at how we can engage the older adults in our communities," says Evanchuk. "They'll feel welcome, they'll feel encouraged, and they'll feel involved." Holli Moncrief is a Winnipeg writer.